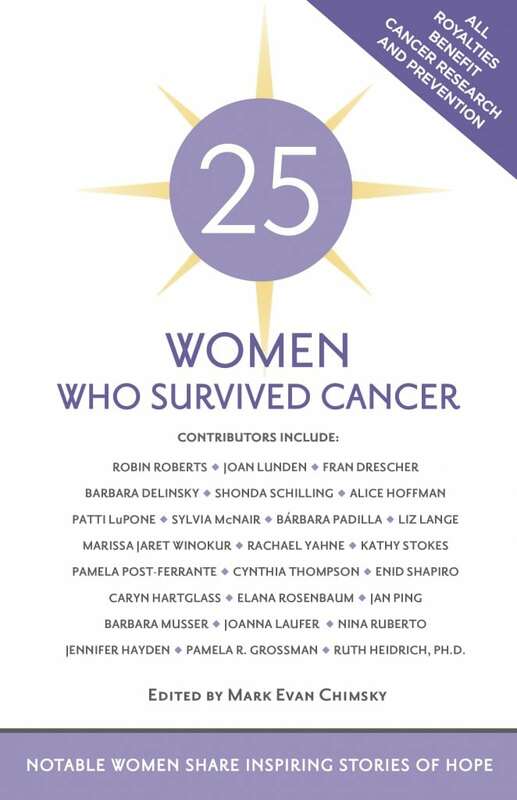 REAL Co-Founder, Caryn Hartglass is a featured author in the new book 25 Women Who Survived Cancer: Notable Women Share Inspiring Stories of Hope. Buy the book 25 Women Who Survived Cancer inscribed by Caryn Hartglass. You may send instructions on who to inscribe the book to and any additional information. The book can be shipped via U.S. Postal Service Media Mail or Priority Mail. Outside the U.S. please email for pricing. If you prefer not to use Paypal below you may use a credit card by calling us at 657- I M 4 REAL (657-464-7325) or send an email to: info@ResponsibleEatingAndLiving.com. If paying by check, make it payable to Responsible Eating And Living. Mail it to 6776 Booth St, Apt 3C, Forest Hills, NY 11375 and include desired method of shipping and inscription instructions. Royalties from the sale of this book will be donated to Responsible Eating And Living and other nonprofits dedicated to cancer research and prevention.